Part of the Very Chic series, this oversized cowl features elongated cables, made extra fluid by dropping select stitches. Slight shaping makes it easy to wear over or under a coat, and the generous depth keeps both the neck and shoulders warm. Techniques & Skills Used: long-tail CO, knit/purl, cables, dropped stitches, decreasing, knitting in the round; this pattern includes both a chart and written instructions. Size: 15” tall and 18” circumference at top edge/24” circumference at bottom edge, after gentle blocking. 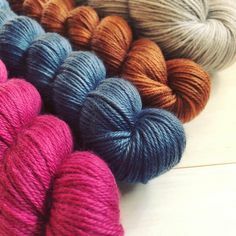 Yarn: Malabrigo Yarn Worsted (100% Merino Wool; 210 yards/100g); 2 skeins, shown in Polar Morn. Other Materials: US 9 (5.5mm) 24” circular needle; Stitch markers (4); Cable needle; Yarn needle; Crochet hook (any size) to help with raveling. Gauge: 16 st and 20 rows/4” in stockinette stitch; one cable is approximately 2.5” wide. 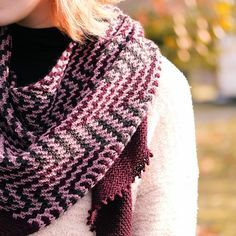 The sample used almost all of two skeins; while gauge is not critical for this project, a different gauge may result in a smaller or larger finished cowl, and different yardage requirements.